An investigation was launched by the Education Ministry against a married principal of a leading boys’ school in Colombo - Mahanama College and another married female teacher of the same college who had reportedly eloped. Following the reports on the ‘long-standing’ extra-marital affair between the principal aged 56, and a female teacher aged 30, the Ministry Secretary W.M. Bandusena said disciplinary action will be taken against the principal and the teacher if they are found guilty in the investigation. 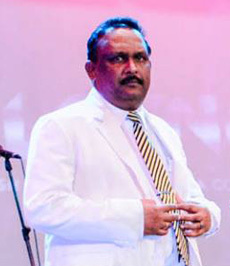 Ceylon Teachers’ Service Union (CTSU) General Secretary Mahinda Jayasinghe said according to sources close to the school, the duo had been continuing the extra-marital affair for a long time despite objection from the school staff. He alleged that the Education Ministry had kept silent to complaints lodged by the school staff with regard to this issue. “The husband of the female teacher had gone to a nearby police station with the child to lodge a complaint. When the husband came out of the police station after lodging a complaint, the female teacher had returned with the principal and taken away the child by force,” Mr. Jayasinghe said. Secretary Bandusena said the information received by him could still not be verified, and therefore they couldn’t come to conclusions relying on the claims of other teachers in the same school. However, he said that details would not be published regarding the suspected principal and the teacher will not be published until investigation confirm the truth.